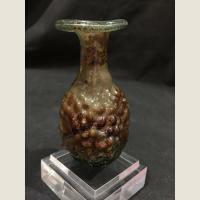 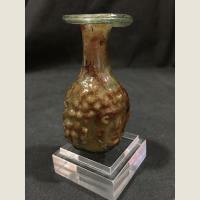 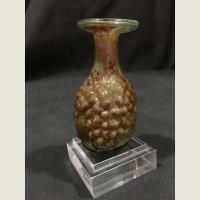 A beautiful olive colored glass bottle, flat-based, the rounded body depicting two janiform youthful heads with wavy knob-like shoulder length hair. The arched base represents the figures' necks. 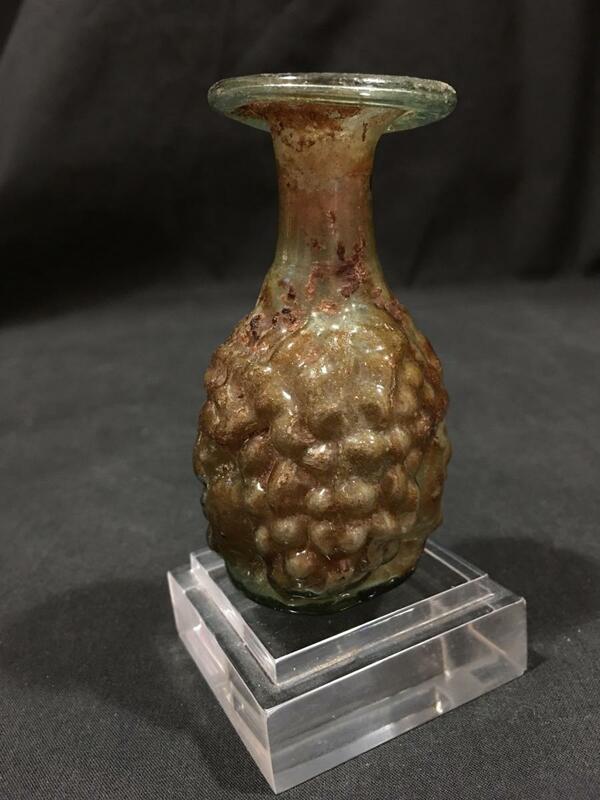 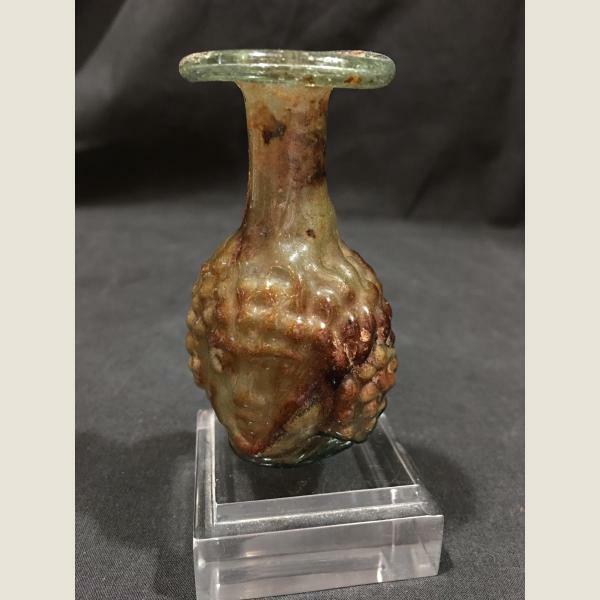 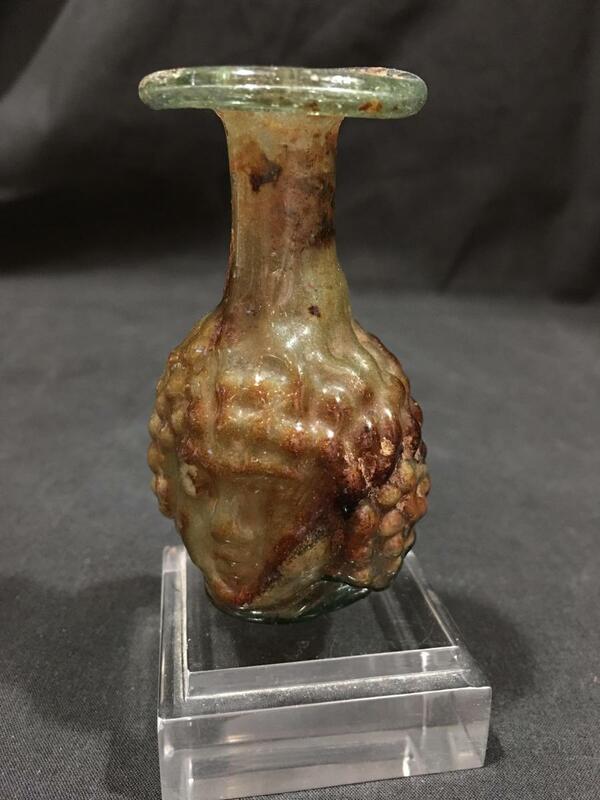 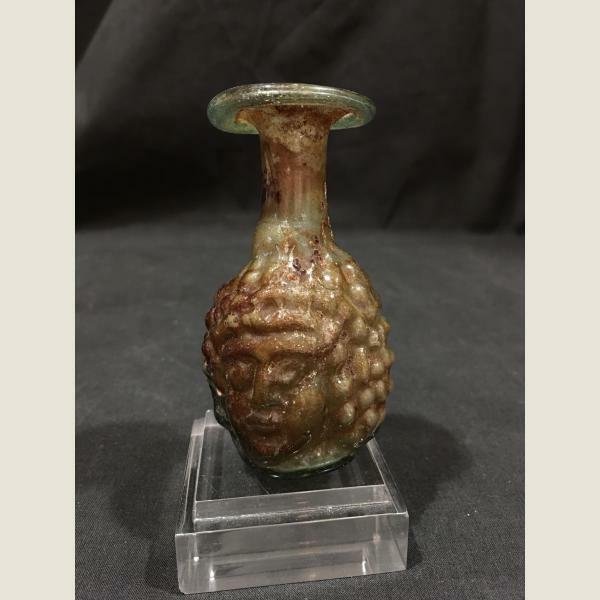 This variety with pudgy features is typical of the classic Janus head flask and an absolute must have form for any serious ancient glass collection. 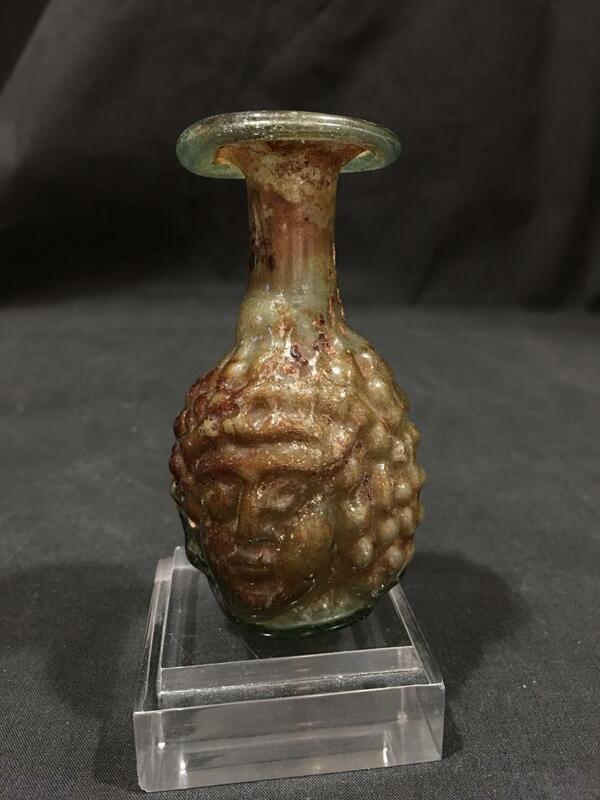 the heads were blown in a bipartite mold. 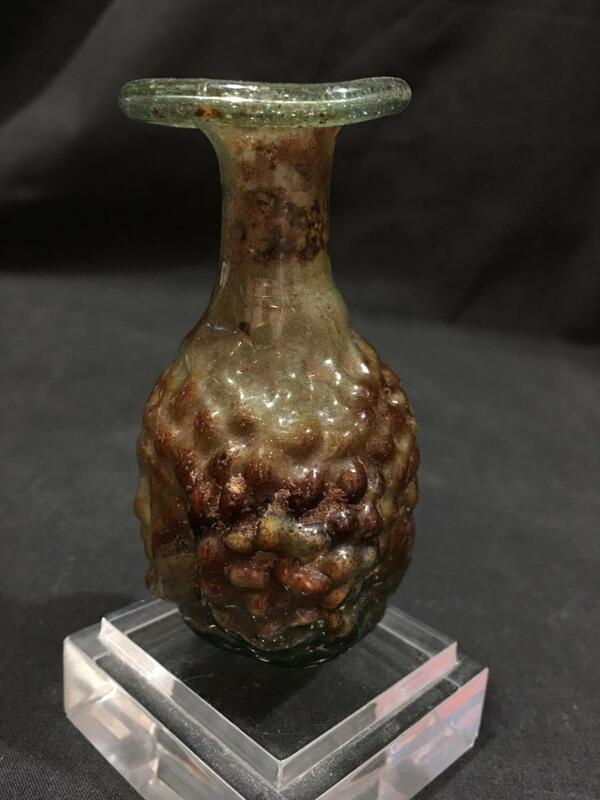 Funicular neck with slightly everted mouth and applied trail rim. 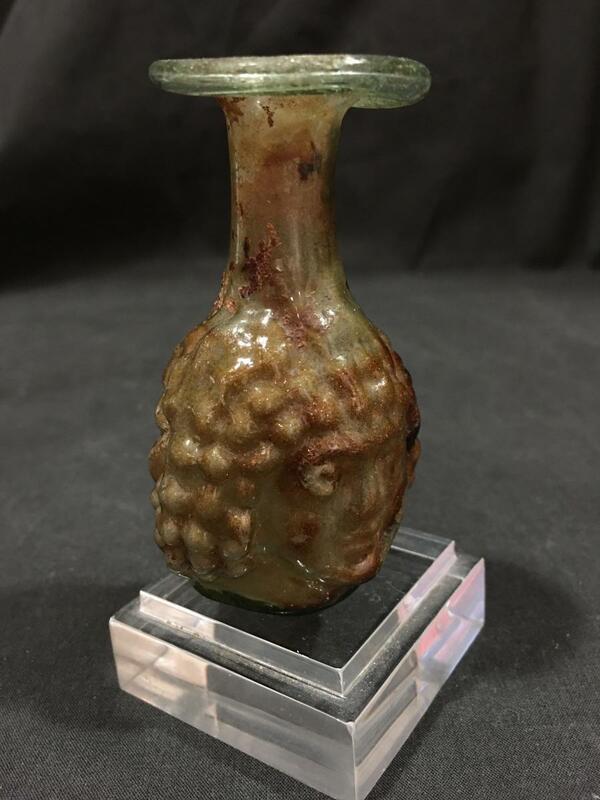 32 grams.